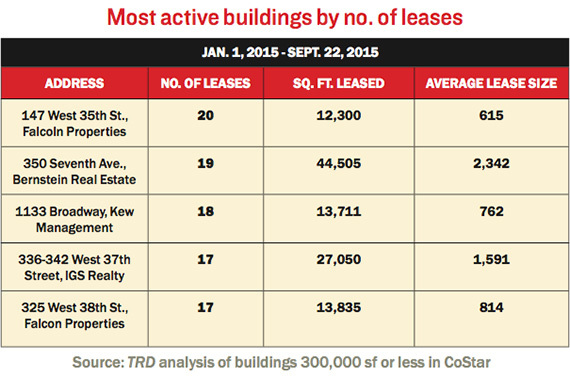 From the October issue: WeWork, Regus and other temporary office firms continue to snap up space in Manhattan, but there are still traditional landlords concentrating on leasing to small tenants. “There is a lively market for small space. 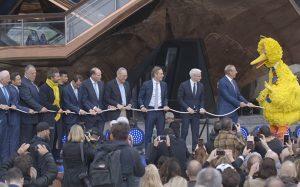 As a matter of fact, sometimes we have a big space and divide it in two,” said Phillipe Ifrah, president of IGS Realty. His firm owns a Garment District building divided into dozens of spaces. He said small companies that start in shared office spaces often migrate to their spaces once they have expanded to a handful of employees. “When they grow, they come to us,” Ifrah said. In addition, small tenants come knocking when they want to create their own identity. 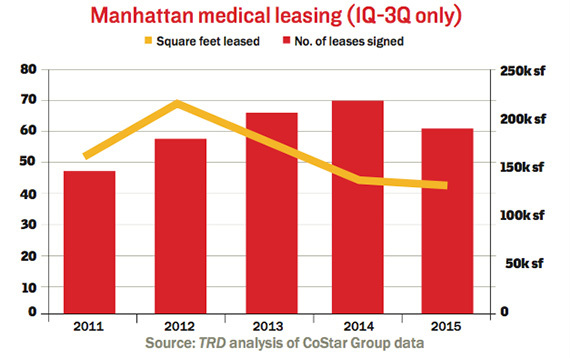 A TRD analysis of CoStar Group data for leases of 1,000 square feet or less signed this year show the bulk are inked in the $40- to $60-per-foot range.